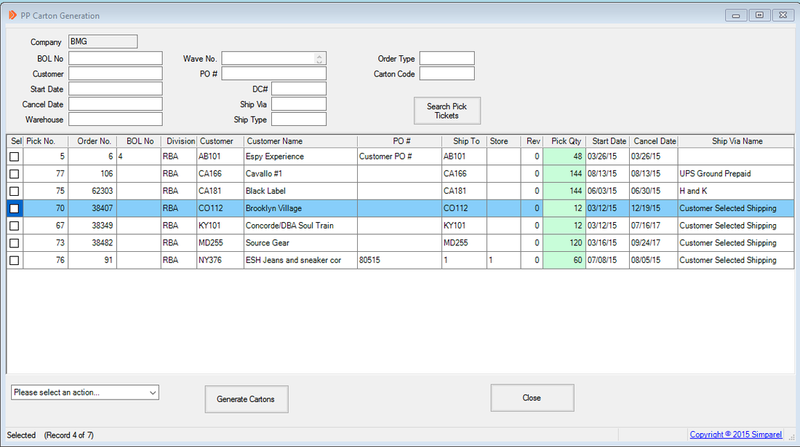 Prior to this step, you should have created and printed Pick Tickets for your sales orders. If you have already completed the two tasks above and are ready to generate cartons for shipping, then follow the instructions on this page. First open the carton generation application in Simparel. The PP Carton Generation window will open. Click on Search Pick Tickets to bring up all open PTs. 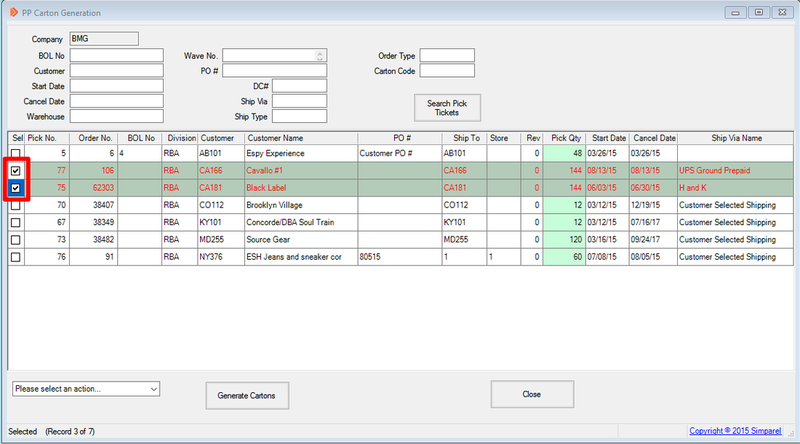 After clicking on the button, you will see the open PT details appear in the PP Carton Generation window. 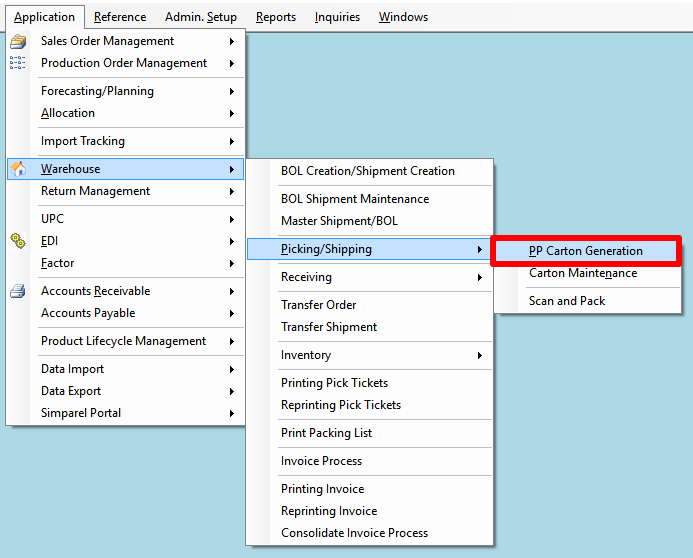 Click on the checkbox of the PT for which you would like to generate cartons. You can also click on the drop-down menu at the lower left to select or un-select all. 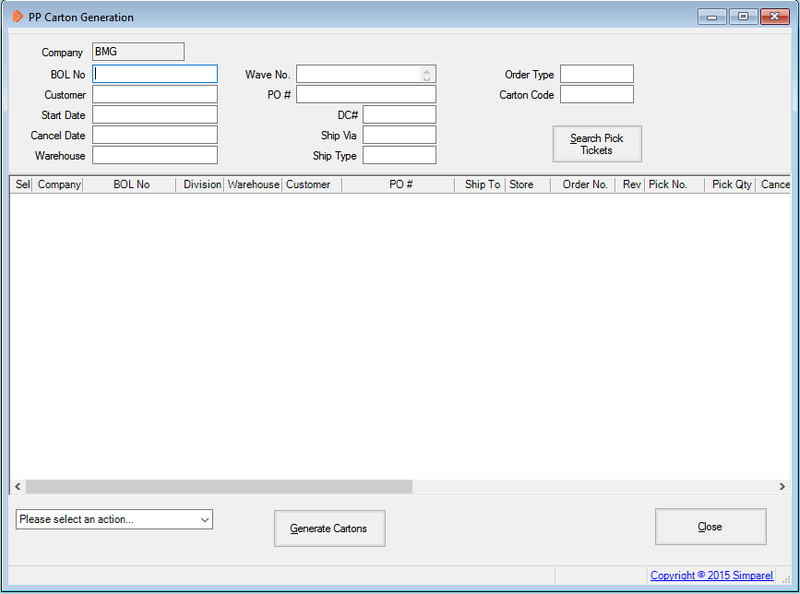 For this example, we will select just two Pick Tickets to generate cartons. Cartons are created based on the order quantity and the number of pieces that go into a carton. This second number, known as the Carton Quantity, is set for each style in the Reference Tables. Style 1, order quantity is 54 and case quantity is 12. Style 2, order quantity is 6 and case quantity is 12. For style 1, you can make 4 cartons of quantity 12 each. That leaves 6 quantity remaining for style 1. The 6 remaining goes into its own carton, separate from the 4 already made. Let's call this separate carton: carton 5. For style 2, you have quantity 6. Carton 5 can take 12 total and has 6 in it already from style 1. The 6 of style 2 can still fit in Carton 5. 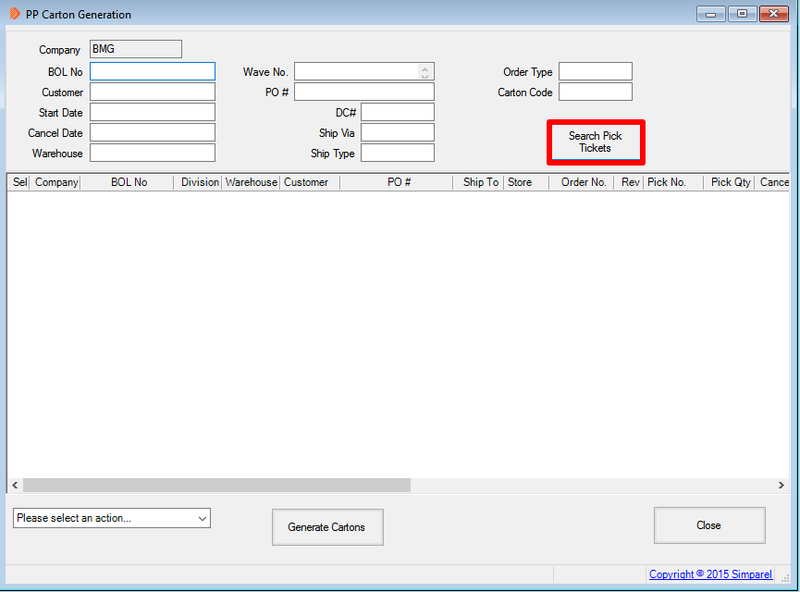 Therefore, for this order of two line items, Simparel will generate 5 Cartons when you click Generate Cartons.